The unique combination of bike tech product developer and manufacturer enables a good margin on direct sales. Can you do use that difference and build up a global brand? Then this is a very special opportunity for you. Using online sales, direct to dealers, going through big distributors or however you want to play it – you make the plan and execute it to success. It may take some time as the bike business is hard to break through. A lot is about crafting the right story and as a small player you need to stand out and be special to beat the big competitors. You must be ready to crack a new angle on the market and dare to be different. We believe in a tech-geeky science-angle with democratization through different sales methods and pricing. With younger first-mover riders as an active part of the product through a strong community element. Feel free to come up with a different angle – the important thing is that you believe in it and can make it a success. To help out with all this, there is currently a support professional, a student assistant, and a marketing employee. 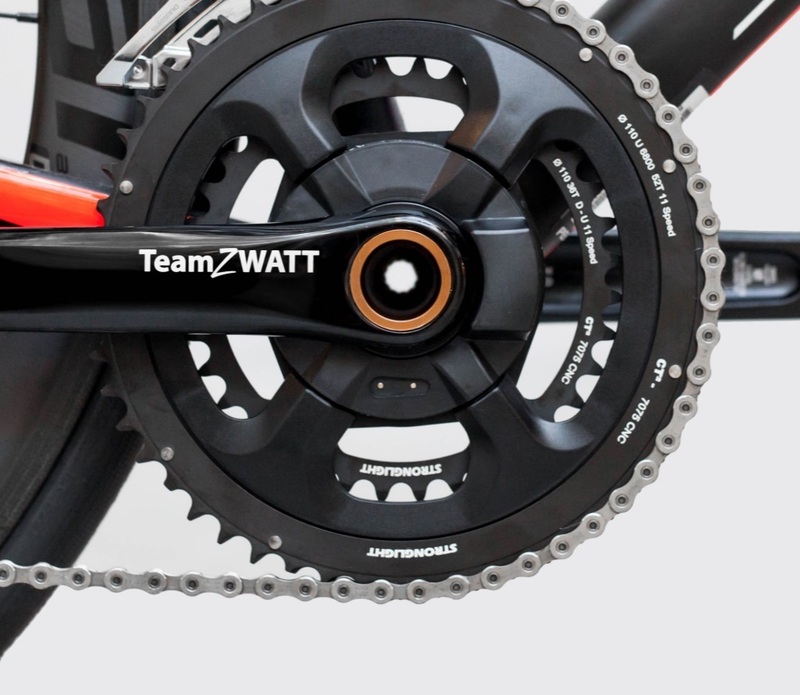 Team ZWATT sells bike power meters for bike enthusiasts. An essential tool for all who train on a bike. The technology is designed from the ground up in Denmark and is today embedded in several major brands on the market. Thoroughly tested by pro cycling teams and has won an international bicycle “design and innovation award” in 2018. Team ZWATT and its B2B parent company Sensitivus was first with rechargeable batteries through a smart magnetic connector, so the sensor can be made totally waterproof. Pricing is inspired by mobile phones, where the price can be shared between purchase and subscription. Since a successful launch at crowdfunding platforms Kickstarter and Indiegogo, the focus has been on a slightly nerdy approach where users upload data that can be used to improve the product and provide feedback on their training. Read more on teamzwatt.com. We call it partner because you get into something that is established. You will get a significant ownership in the b2c business and take responsibility for it. We started this b2c effort more than a year ago without really achieving what we believe there is potential for. This is why we need a reboot. That explains why co-founder is also a suitable word for this. As co-founder with 51% ownership, you must be driving the decisions and develop the business. We draw a line and start afresh from where we are today. Keep what is working and rethink what needs to change. All in a fruitful cooperation with the technology side of the business, which will continue its focus on b2b sales of the basic technology to existing brands. Depending on your personal situation, we can be flexible in the ways we structure the agreements. We reckon that you are ready to, as a minimum, invest your own time until you can create enough sales for you and your team to get a salary. The details can be negotiated once we know what your plan and setup are going to be. We are looking forward to receiving your application. Send something sensible to founder Rolf Ostergaard (ro@sensitivus.com). We want you to quickly get to the point where you can present a plan at the office in Copenhagen. That said, we will wait for the perfect match. The right chemistry and commitment are key for us.